Chris Mbano raises goats in Kaluhoro, Malawi. With support from the Ekwendeni Hospital AIDS Program and PWS&D, she and other villagers participate in a Building Sustainable Livelihoods program, which helps them earn and save money, grow more nutritious food, receive vocational training, and better prepare young children for school. 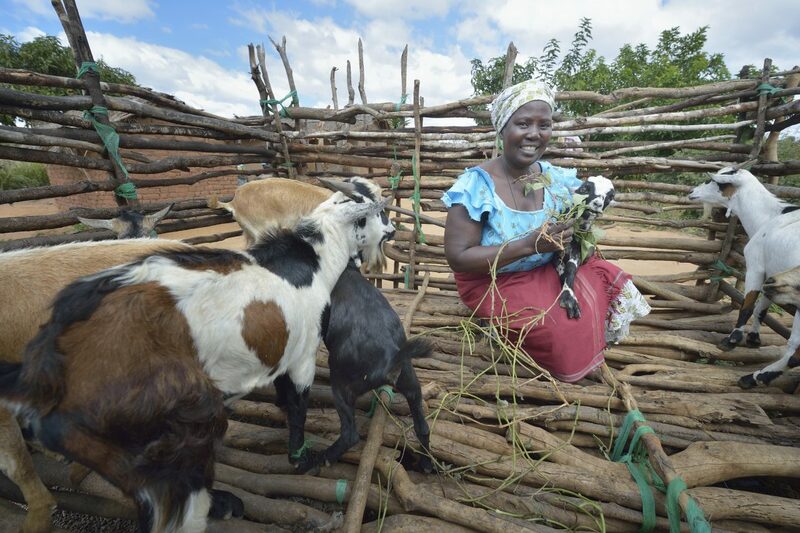 Chris bought her initial goats with financial assistance from the program-supported savings group which she belongs to.